The popularity of the circus theme in haunted attractions always amazes me. I mean, I can understand wanting to take advantage of coulrophobia and Killer Klowns from Outer Space is an awesome movie, but what gets me is that I keep seeing people announcing they want to do a clown-centric haunt as that year’s theme and then immediately ask what they should do. Keep in mind they’re not saying “I’m doing a circus theme and plan to do ____, ____ and ____. Does anyone have any other ideas?” but “I want to do a circus theme this year and I have no idea what to do.” So in this review, I’ll go into extra detail on ideas for clown-based haunts in addition to providing suggestions for alternate track usage. And considering the talent and skill displayed on Prelude to a Nightmare’s previous album, I’m sure Dark Ride will give me a lot to work with. “Haunted Midway” opens the album with music box-like chimes and haunting wordless female vocals, in addition to the excellent backing string work and brief use of a calliope. “Midway Madness” slowly fades up into a mix of calliope music and ambient noise, such as laughter and a baby crying. I suggest using either of the two (or both) for your haunted circus’ entrance. Don’t let the pictures you see online intimidate you, as sometimes it’ll be the inexpensive and easy entryways that will get the most praise. You don’t actually have to use any tents in your haunt (entryways or otherwise) if you don’t want to! But if you do, remember that a ratty-looking tent can actually improve the feel of your haunt. 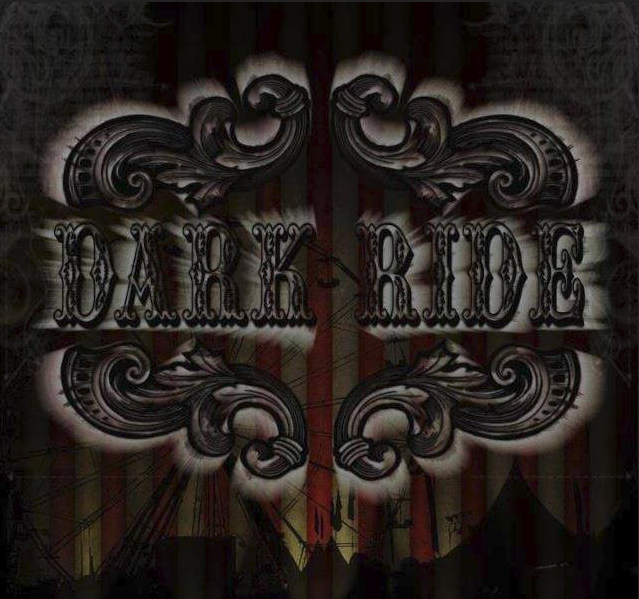 “Ghosts of the Dark Ride” has general haunt use potential thanks to its focus on wailing wind and chilling piano work (with a few “industrial” touches thrown in). The whispers are a great touch, as is the brief use of a children’s choir. I can see this working in a haunted schoolhouse. The moody opening “Scary-Go-Round” leads to slow and somewhat “off” carousel music, then more bombastic circus music and drums kick in. “Kiddieland” offers music box-like chiming and soft, slow circus music mixed with other eerie touches. More specifically, a child’s laughter and wordless vocals. You can play those as guests wander through a midway filled with various sinister booths, surprise clown attacks and other nasty little touches. The dark opening buildup of “Lights Out” leads to constant heavy winds and light piano work coupled with Prelude to a Nightmare’s trademark modern horror touches that allow its use with virtually any haunt scenario. As one would expect from the title, “Dark Lullabye” offers both soft music and a music box. Soft “circus” music joins in later, along with spooky strings and piano work. The addition of a female choir halfway through helps kick up the creep factor. Obviously, you can also use this in your haunt’s nursery. Right from the get-go, “Scarry Larry’s Collection of Curios Creatures and Other Creepy…Stuff” immediately launches into boinging and other wacky sound effects mixed with tinkling bells and circus-style frantic drums. There’s also an interesting remix effect at points. “Laugh Til You Puke” gives us more jaunty music and twinkling notes. It’s very catchy and the use of sound effects is much more subdued. I also like how this track opts for a mix of previously heard and new effects. “Triple D’s” is a dance track, that’s almost like techno music with a circus twist and some spacy throbbing touches. You could work this into a haunt’s waiting area or haunted club scene, but I’d be saving this for a Halloween party if I were you. “Maniac in the Mirrors” mixes evil clown laughter and soft creepy carnival music and “Tunnel of Love” utilizes both dripping water and off-kilter music. I recommend setting up a room with entrances for a Tunnel of Love and a Fun House. The Tunnel of Love can’t be entered due to it being dried up, but you can combine aspects of these scenes to create the overall effect to go with the titular track (which should be played at lowish volume). The Fun House can open with either a mirror maze, hall of mirrors or any other fun house effects you want to go with “Maniac in the Mirrors.” There’s tons of things you can do in a fun house: vortex tunnels, shrinking hallways, endless hallways, spinning floors, and dot rooms immediately spring to mind. Sometimes you can even combine certain effects to really bewilder your visitors. Hallways are also a great place for hanging heads, pool noodles, tubes or random scary faces and drop panels. How about making a glow stick chandelier that swings when your guests least expect it (just be sure it can’t fall on anyone if anything goes wrong). Speaking of things they least expect, why not try using the classic car scare or having a room whose hidden exit only appears when they tug on a rope. Naturally, there are several ropes hanging from the ceiling that offer spooky surprises like this. Other rooms can include a face room, barrel room and a room filled with hanging clowns (with one live actor hidden among them all). So as you can see, Dark Ride can be used for years to come even if you only try a circus haunt theme once. I recommend it to everyone, even for someone who doesn’t usually go for clowns in their haunts (aka me). All tracks are well suited for looping and running the album in a loop is a definite option for any spooky circus setup. Given the standalone tracks (or perhaps are they hints of things to come) on the official SoundCloud page, I’m sure the next album will also be a must-have. I should also note something I failed to mention the last time I discussed Prelude to a Nightmare’s work: All tracks are royalty free! You can check out the official website for more details. Special thanks to Prelude to a Nightmare for use of the image!